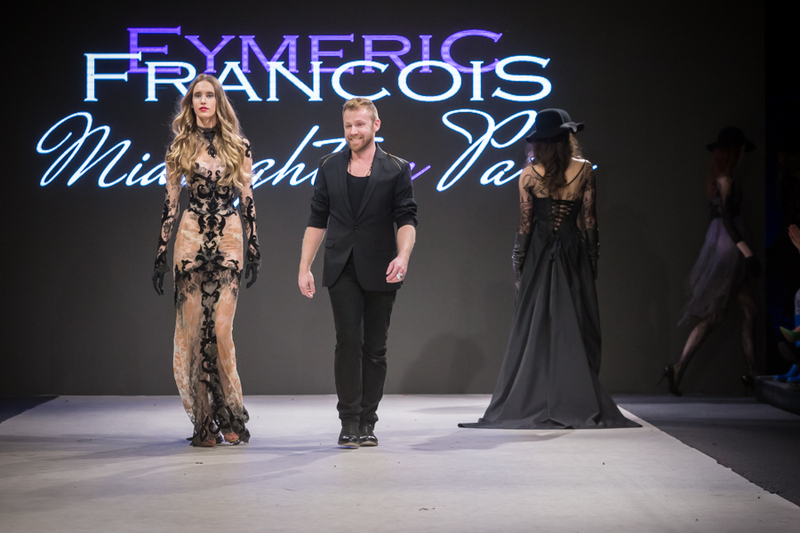 Vancouver Fashion Week F/W 16 - Thursday - Eymeric Francois, Midnight in Paris! become Women’s Tales. Every collection is a poetic story"
Each season at Vancouver Fashion Week (VFW), there are a few designers or stories that deserve a solo article. Last night's closing show by French designer Eymeric Francois was stunningly beautiful - filled with looks that had wonderful silhouettes and were impeccably tailored. It was couture at it's best. I literally flew back stage after the show to make a connection and to try and schedule an interview. The runway pictures are amazing, but what they can't convey is the full impact of the show - Midnight in Paris. The music set the pace, the lighting was just right and the models channeled the ambiance wonderfully. They moved with grace and confidence. How could they not in those beautiful garments. As a former professional costumer, I found myself leaning forward to catch the intricate details for one look - then leaning back to enjoy the overall impact of another. Back stage I realized one with a corseted look was actually made from zippers. In the few moments I was able to talk with the designer, he did share one note with me. It's never about the design work for him, it's about the women. He adores everything about women including their physical shape. It shows in his design work. The garments are not only amazing, his love of all that is female is an intricate part of each silhouette. I did manage to interview Eymeric on Saturday and what a story. His journey to this moment needs a full solo article, but I want to share just a sound byte here. After graduating from design school it took time to land that first job. Even though it was ready to wear, his experienced co-workers took the time to really show him the HOW behind creating beautiful clothes for women. 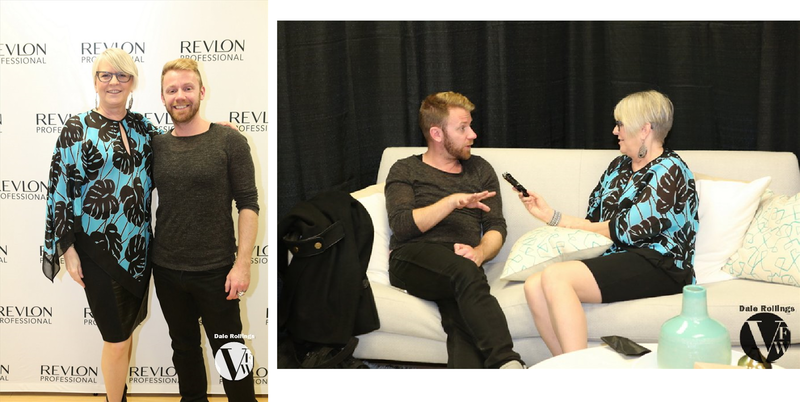 His journey to having his own label began at a ready-to-wear contest he was invited to be a part of. A TV crew followed him all week sure he was going to win. Not the case. Because his collection was couture instead of RTW, the committee felt it was wrong to give him the top prize, but one member of the panel was so impressed, she insisted they award him something. A prize was created that included money for his first collection and a venue to hold the show in. The designer was only given a short period of time, but created a beautiful collection. His sponsors made sure the media was there in force. It was an amazing night and the press was all supportive. What came next? THREE YEARS of working hard before he made his first sale. A leson to everyone on the power of persistence and a positive attitude. For both the show and sharing you amazing story with me, I want to say to Eymeric Francois - BRAVO! The Designer - The french designer began his career in1997 with Haute-Couture designers Thierry Mugler and Christian Lacroix. He presented his first couture collection in July 2000, sponsored by LVMH Group. The designer became Official Invited Member of Haute-Couture Fashion Week in 2003, spondered by Donald Potard, CEO of Jean Paul Gaultier. The stylist is Art Director of Serbia Fashion Week since 2004. The Style - Noticed right from his beginning in Paris in 2000 thanks to clothes embroided with pins, zippers dresses and tighted corsets. Eymeric François creations are declined from black tuxedos to embroided long and sensual dresses. A style which stands for Elegance, Sensualism and Fetishism. A timeless elegance without trends and seasons. A sensualism of bare skins and transparent french laces. A fetishism of silhouettes of a man who has become a sculptor. The Universe - Fascinated by fantastic characters, myths and legends, Eymeric François creates ferric universes where Fairy Tales become Women’s Tales. Every collection is a poetic story, which invites to dream towards fantasy worlds, from celtic nymphs to dark vampires. A universe of romantic shows, where the designer invites every guest to become a full part of his imaginary.